BT is offering Freeview viewers access to another Aviva Premiership Rugby fixture this Saturday via its Showcase channel on 59. From 2:30pm on Saturday 8th October 2016, viewers will be able to watch BT's coverage from Twickenham for the game between Harlequins and Northampton Saints, which kicks-off at 3pm. The game is part of BT's commitment to bring selected games from the Aviva Premiership to Freeview homes for a second season. 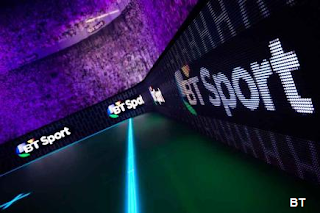 BT Sport is also providing access to a selection of Champions League and Europa League fixtures, with details of the next free football fixtures to be announced soon.